Stop Noise specialise in soundproof windows installations, found in domestic and commercial properties. Stop Noise has created a system, which we call secondary glazing & is used successfully to soundproof existing windows. Adding the secondary soundproof windows to the existing window frame is simple. These can be easily slid open, for access to fresh air and cleaning. The ideal formula for creating a soundproof window – to have a large airspace between the existing glass & the secondary glass of about 100mm. A cushioning effect created on the airborne noise by the large airspace, allows the noise to become baffled. The windows sashes are fitted with heavy 6.38mm laminated safety glass and have double acoustic seals, there is also a heavier 10.38mm system available for commercial applications. 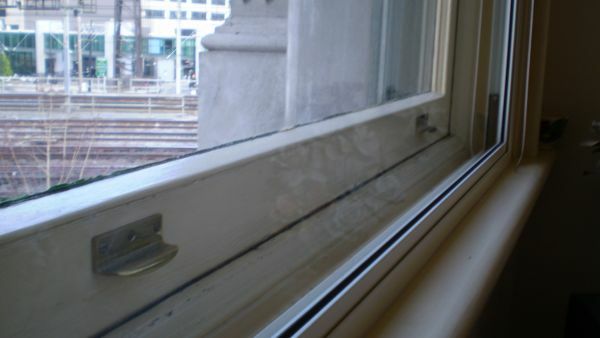 This secondary glazing system, was acoustically tested & found to reduce noise by the same as a brick veneer wall. A consultant can visit your home for a quotation & supply you with a full noise test report.Fixing peoples noise problems for the past 17 years, we guarantee the best advice.